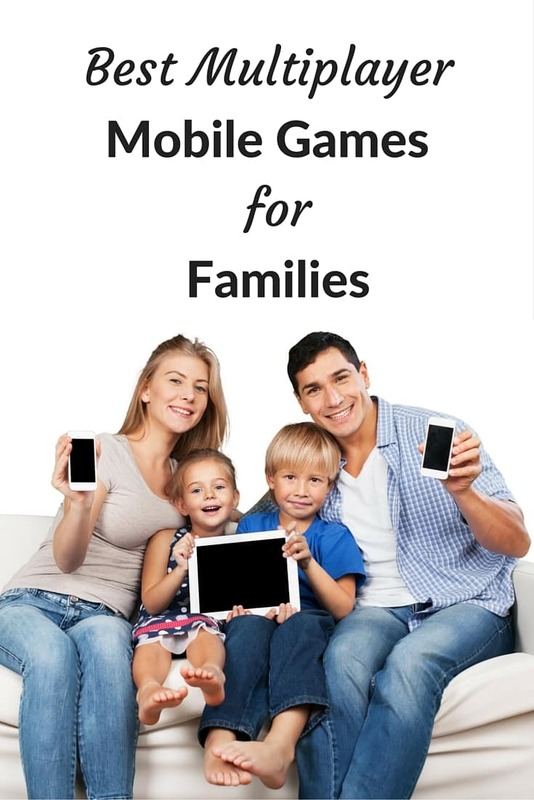 A list of the best multiplayer mobile games for families might seem odd, but these are awesome indoor games we can play anytime, anywhere. Family together time is a major priority in my home. As a military family, our small tribe was the only stable, consistent force in our lives so I do everything I can to strengthen that bond. Usually this involves dragging the entire family along to run errands. My kids don’t have the benefit of hindsight yet to show them how wise and right I am in forcing all this family togetherness, so I have to deal with occasional complaints of “this is boring!” or “why do I have to go?”. Since the ultimate goal is for all of us to enjoy each other’s company, I’ve spent a lot of time finding different ways to have fun as a family anywhere we go. I’ve shared some of these ideas in the past (see “Family Travel Sanity Savers” and “12 Ways to Keep Your Kids Busy at a Restaurant“). 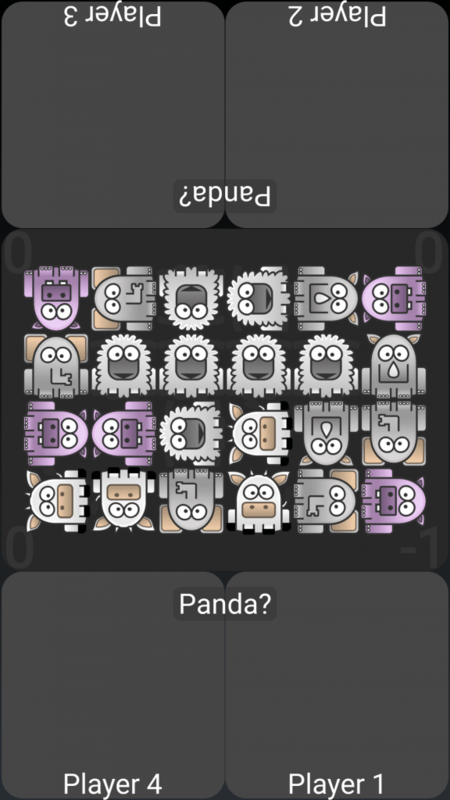 Today I’m sharing what I think are the best multiplayer mobile games for families. No matter where we go, at least one of us always has our phone (and with 3 teenagers, usually several phones between us). 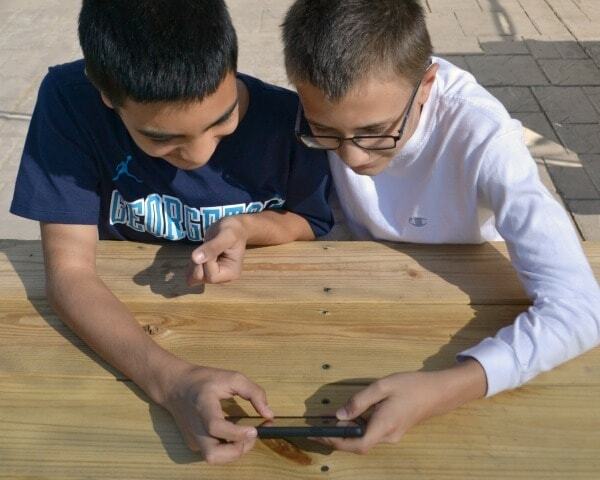 So, multiplayer mobile games are one of our first go-to activities. Because of the broad age range in my kids (9-18), it has been tricky to find games we all enjoy. These are our favorites. 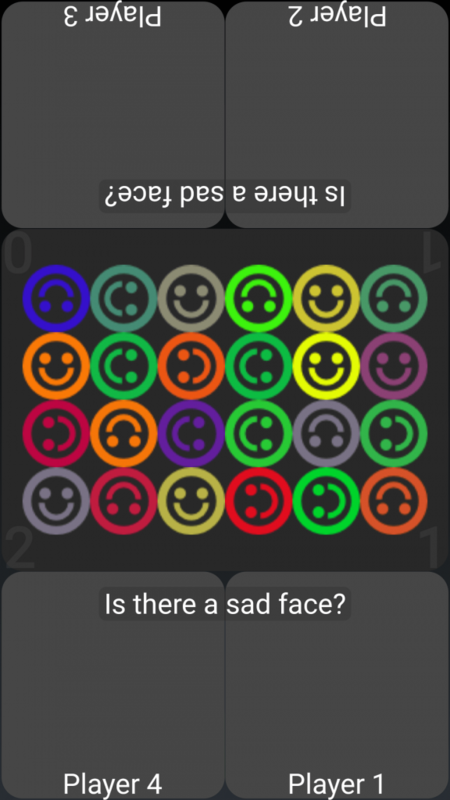 Heads Up is a pretty popular game and it’s super fun to play when you have 10-15 minutes to kill. I’ve played this on the train with my BFF, at the restaurant with the family, and in the doctor’s office when I’m waiting with one of the kids in an exam room. One person holds the phone on their forehead so they can’t see the screen but the other person can. 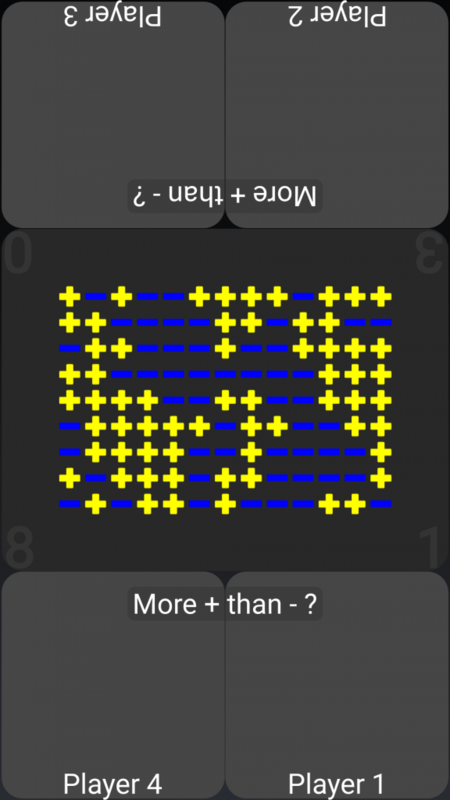 Then, the person who can see the screen gives clues to the person with the phone on her forehead to get her to guess the word. 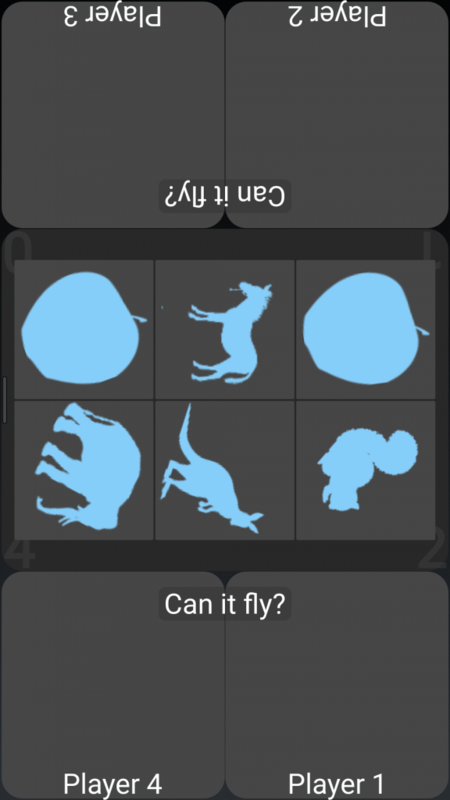 The goal is to try and guess as many words as you can before time runs out. 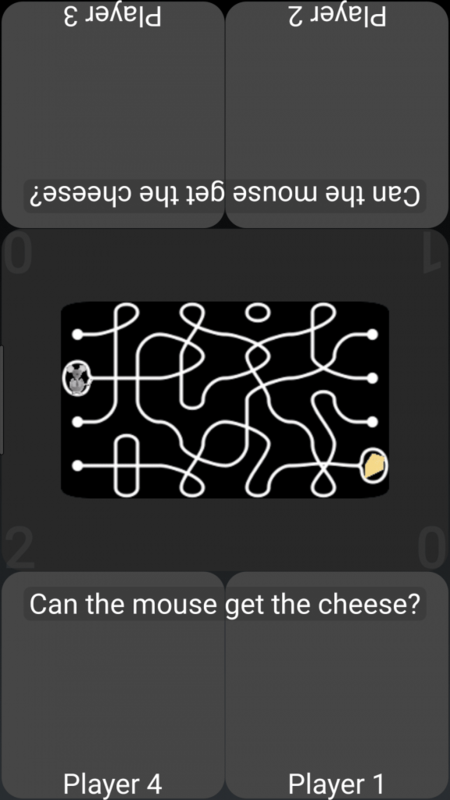 After the round, you have the option to watch the playback video of the person who was giving clues. These are typically VERY funny! There are plenty of “decks” to choose from so it’s easy to choose a category that is easy enough for everyone (e.g. “Just for Kids” and “Animals Gone Wild”). We like to just take turns guessing and giving clues, trying to get as many as possible right each time, but occasionally we divide into teams and compete to see which team can get the higher score. Do you love restaurants that have games printed on the place mats or the games they have on the table at Cracker Barrel? Well, Family’s Game Travel Pack is like having an endless supply of those games with you at all times. Like the other games I’m recommending, this game is appropriate for all ages. My oldest and youngest child play many of them together and neither of them has an advantage. 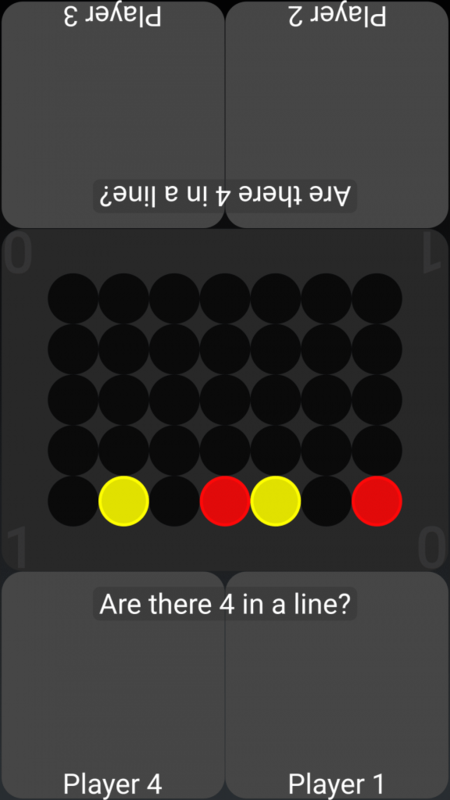 There are over two dozen games to choose from in the app including: Reversi, Tic Tac Toe, Yatzy, Air Hockey, Battleship, Memory, Connect Four, and Dots & Boxes. Most of these games are two-player games so they are great ones for the kids to play in the car on road trips. 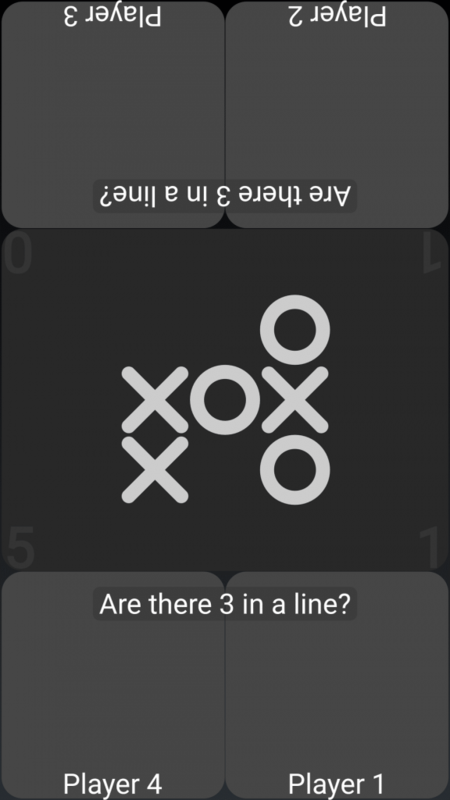 If we’ve got a ton of time to kill (showed up 45 minutes early to the elementary school choral concert to make sure we got seats together – a challenge when you have a family our size), this is a great game to keep us distracted from the wait and engaged with one another. This is one of those games like Flappy Bird that I am intrinsically bad at. My kids, however, LOVE these types of games and the “coop” and “vs” modes make Badland one of the few games of this variety that they can play together. This is one of my boys’ very favorite games (multiplayer or otherwise). 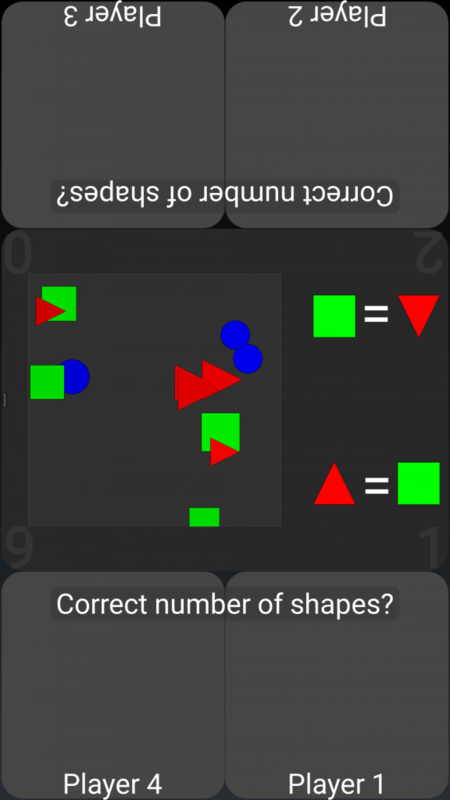 You can play up to four players on one screen, but on a smartphone screen that can be a challenge so I recommend a tablet if your family likes to play with more than two players. Regular readers know that I almost never recommend apps that you have to pay for because, like you, I like to spend my money on more important things (like food, shelter, and education). So, before you freak out about the cost of some of the mobile games I listed or the in-app purchases required to open up all the levels and features, I have some exciting news to share with you. 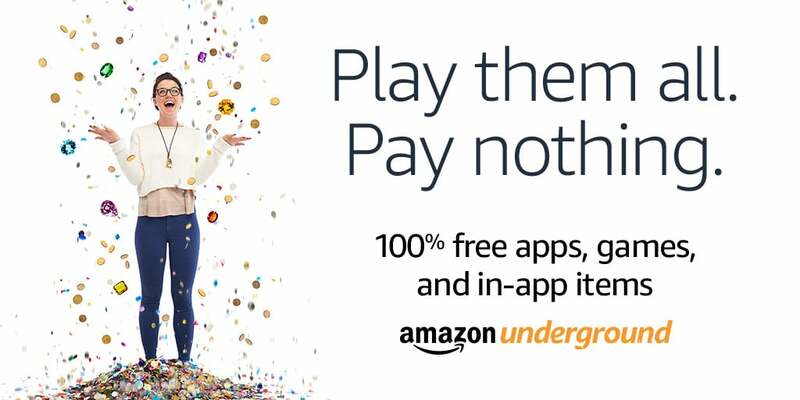 You can actually unlock all of the games (and all of their features) for FREE with Amazon Underground – not to mention thousands of other apps and games. 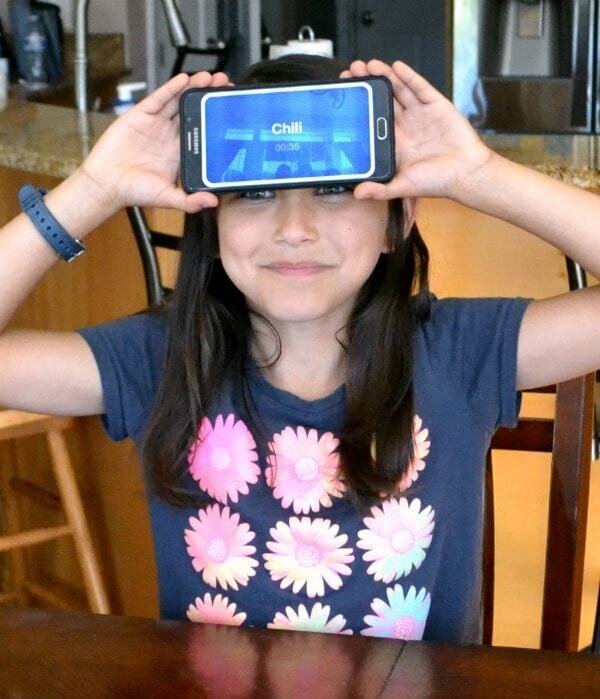 Unlocking all of the Heads Up decks was a major win for our on-the-go family fun. We went from seven decks to 38 (for FREE)! More importantly, we got access to more decks that were easier for all of us to have equal footing. What exactly is Amazon Underground? 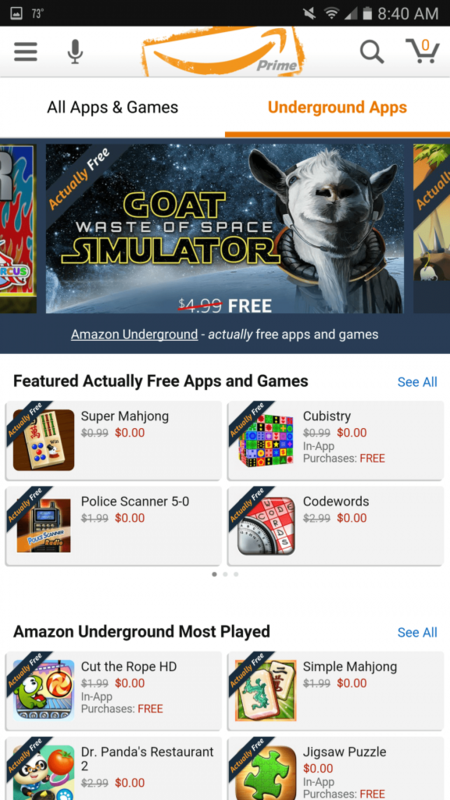 It’s an app for Android smartphones that gives you access to content that isn’t available on the standard Amazon Shopping app that you find on Google Play. As I already mentioned, you get access to apps and games for FREE that would normally cost you money. Plus, you get access to Amazon Video, which you can’t access from the shopping app. Aside from the games I’ve listed, I also snagged PhotoSuite Pro 4 (reg. $4.99), Office Suite Professional (reg. $14.99), Daily Workouts (reg. 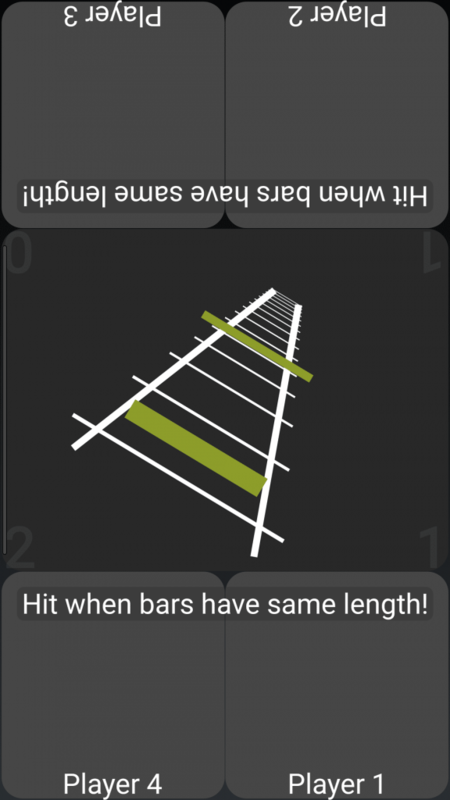 $4.99), and the iRewardChart (reg. 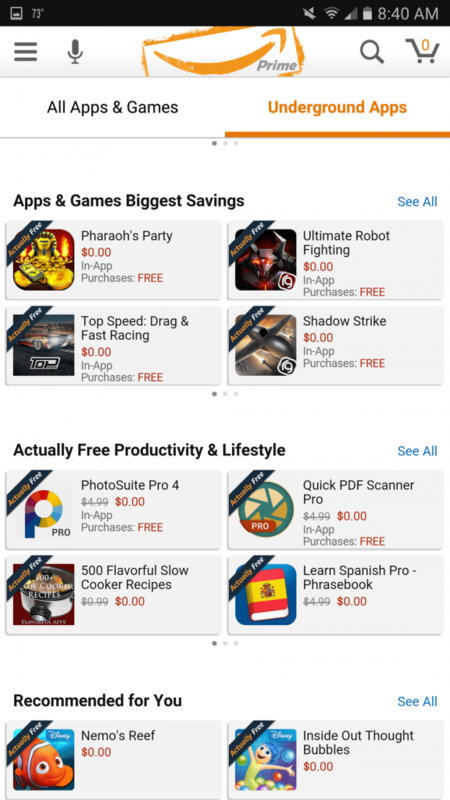 $3.99) – all FREE! What are you waiting for? This one is a no-brainer. There’s no cost, no catch, no risk. Just more of what you want for (yes, I’m going to keep saying it until it sinks in) – FREE. 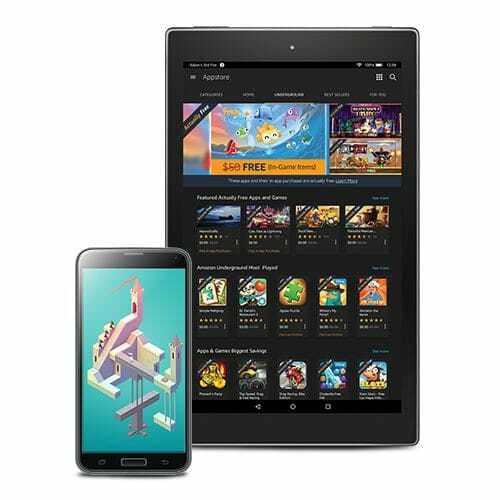 Download the Amazon Underground app from your Android smartphone by clicking the image below. If you are on a laptop or desktop, go HERE and follow the on-screen instructions to gain access to Amazon Underground.